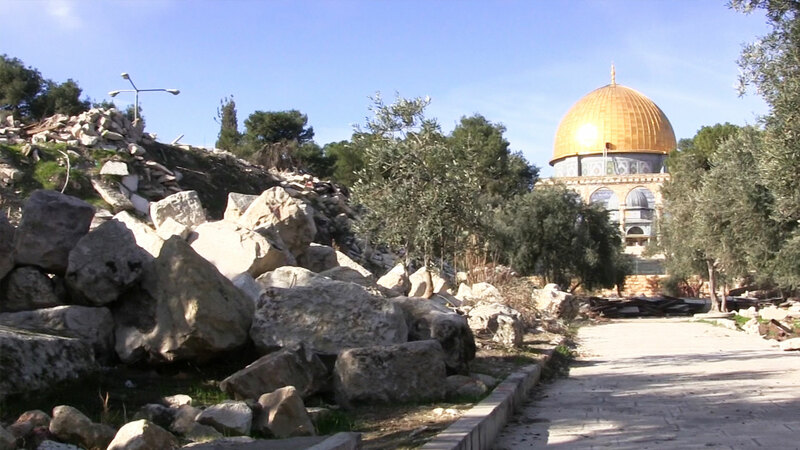 JERUSALEM, Israel – The capture of Jerusalem's Temple Mount 50 years ago sent shockwaves throughout the Jewish world. It also raised hopes for the building of the third temple. On June 7, 1967, Israeli Brigade Commander Col. Motta Gur made an announcement that Jews had waited to hear for some 2,000 years. "The Temple Mount is in our hands! The Temple Mount is in our hands!" he declared. Retaking this ground was important for a number of reasons. For one, it's where King Solomon built the first Jewish temple. After the Babylonians destroyed it, Zerubbabel (the head of the tribe of Judah when the Israelites returned from the Babylonian exile) laid the foundation stone for a second temple that was later expanded by King Herod. That temple fell in 70 AD at the hands of the Romans. When Commander Gur declared the Temple Mount was back in Jewish hands, it rekindled hope for a long-awaited Third Temple. 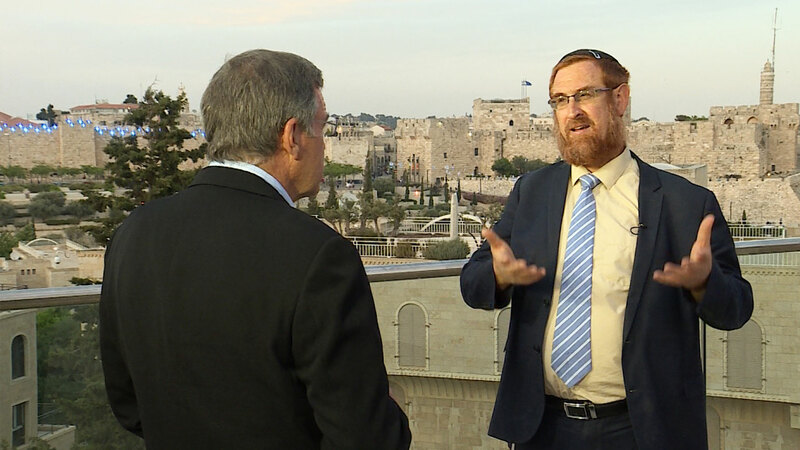 "The Six-Day War was a miracle of biblical proportions and was a cataclysmic opening of a new era for Israel and the whole world," Rabbi Chaim Richman told CBN News. Rabbi Richman, director of the International Department at The Temple Institute, is dedicated to rebuilding the Jewish temple. He sees the time since the Six-Day War as a prophetic shift. "It would be hard, I think, not to see what's happened in the past 50 years as a tremendous – not just fulfillment of prophecy – but a tremendous jump start, a tremendous fast forward," Richman said. "It's more than prophetic. It's like a kiss from Heaven. It's like a divine kiss. It's like an intimate brush with the reality of God's compassion and love. He keeps His promises." The Institute shares a key connection to the battle for Jerusalem. Its founder, Rabbi Yisrael Ariel, served with the 55th Paratroopers Brigade that captured the Temple Mount. After the victory, a Jordanian guide gave them a remarkable tour. "His job was to carry the company machine gun," Richman explained. "There's a very beautiful photograph of that. He actually – the first night of the liberation of Jerusalem – he was given the task of guarding over the spot of the Dome of the Rock, which of course is where is the Holy of Holies. "The story, though, that he told us is that the soldiers were on the Temple Mount and it was just like the first hour or so. And they were approached by a Jordanian fellow in Western dress who explained that he was the official tour guide for the Jordanian parliament and he offered to take the soldiers and to show them the sites on the Temple Mount. "He tells them all these things about the history of the Holy Temple … Finally, the rabbi asked him, 'why are you telling us all this?' And he said, 'well, we have tradition from our fathers [and] they from their fathers that one day the Jews would wage a war and conquer this mountain and rebuild the Holy Temple, and I assume that you're starting tomorrow. I want this to be my part, my part in helping you,'" he said, according to Rabbi Richman. "What was their reaction to that story?" CBN News asked Richman. "Well, I guess they were pretty surprised, but the bottom line is in hindsight; it doesn't look like we were ready." Now, 50 years later, that's changed with the Temple Institute preparing blueprints and gathering official temple elements such as the priestly garments. Richman is also dispelling myths about the temple on today's digital loudspeaker: YouTube. All of this means, talk of rebuilding the temple is no longer considered a fringe idea. "Today there's a lobby in the Knesset of how many members of Knesset that are constantly speaking about Jewish rights to pray on the Temple Mount," Richman continued. "There are members of Knesset that actually talk about the rebuilding the Holy Temple. Do you realize that 20 years ago these people wouldn't have been given a moment on prime time television to say these things. They would have been laughed out. One of those Knesset members is Rabbi Yehuda Glick. "So a few years ago this was considered fringe – zealots, lunatics, peculiar. Today it's mainstream. 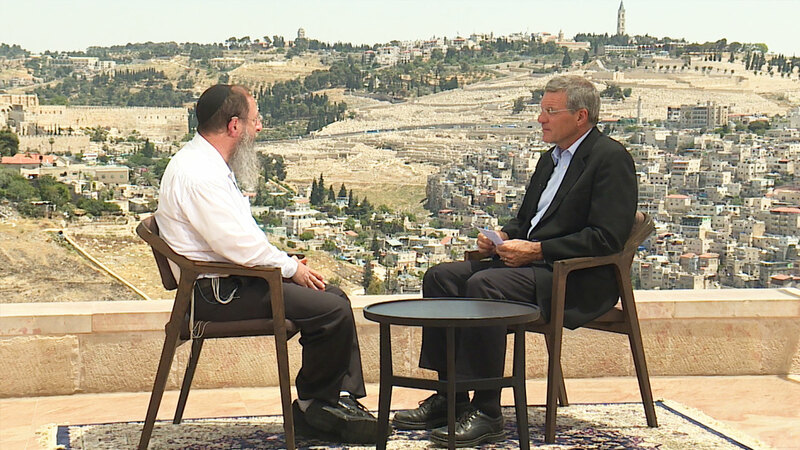 Ten years ago, there was not a single member of Knesset who ascended the Temple Mount," Glick told CBN News. "Today we have 20 Knesset members who are interested in ascending Temple Mount, praying on Temple Mount and are part of the redemption of the Temple Mount and bringing the Temple Mount back into the center of the next step in the redemption process." "It means there's a God in the world and that the best is yet to come – and that we are so connected to Him and to each other and to that purpose and to all humanity and it's just a wonderful privilege to be with you today looking out over Jerusalem and to realize that we're living in probably the most important time in history," he continued. "If you believe in the God of Israel and you see His hand on His people and you understand the tremendous changes that have gone on over the years, you see that the One who brought us this far isn't finished and will keep His promises." In October 2014, an Arab resident of Jerusalem shot Glick at point blank range, nearly killing him. The would-be assassin fled to a predominately Arab neighborhood of Silwan, where he was killed after opening fire on Israeli forces. Glick spent nearly a year in the hospital, sustained by his strong faith. He eventually regained full health.